This is not just a clock radio. 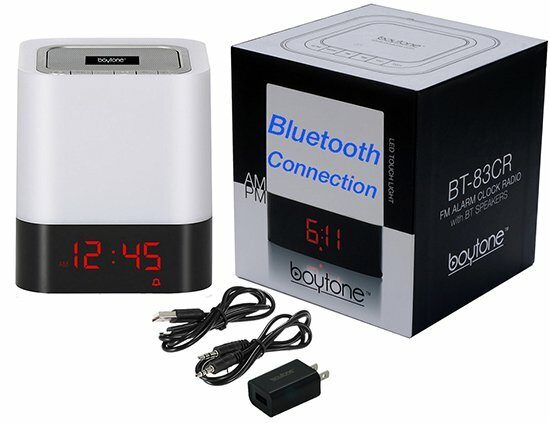 This is the Boytone Portable FM Radio Alarm Clock Wireless Bluetooth 4.1 Speaker with 3-Way Night Light Touch Lamp, Built–in Rechargeable Battery for 8 Hours Play, Microphone, Micro SD slot, USB, AUX, 110/220 Volt with a LED Digital Display. 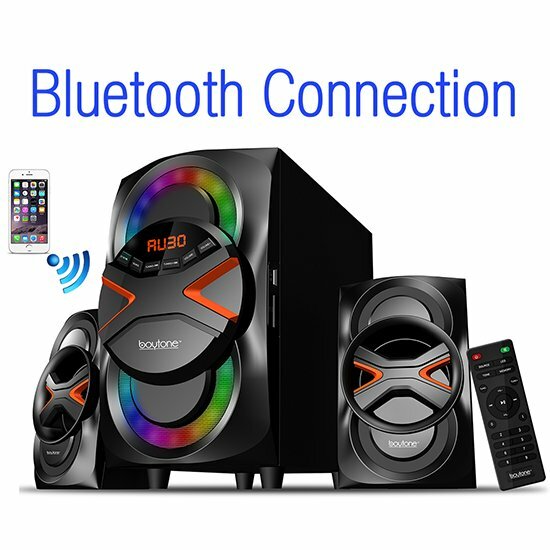 Answer incoming calls through Bluetooth connection. You can end and refuse calls just as easily, and return to your favorite tunes without missing a beat. 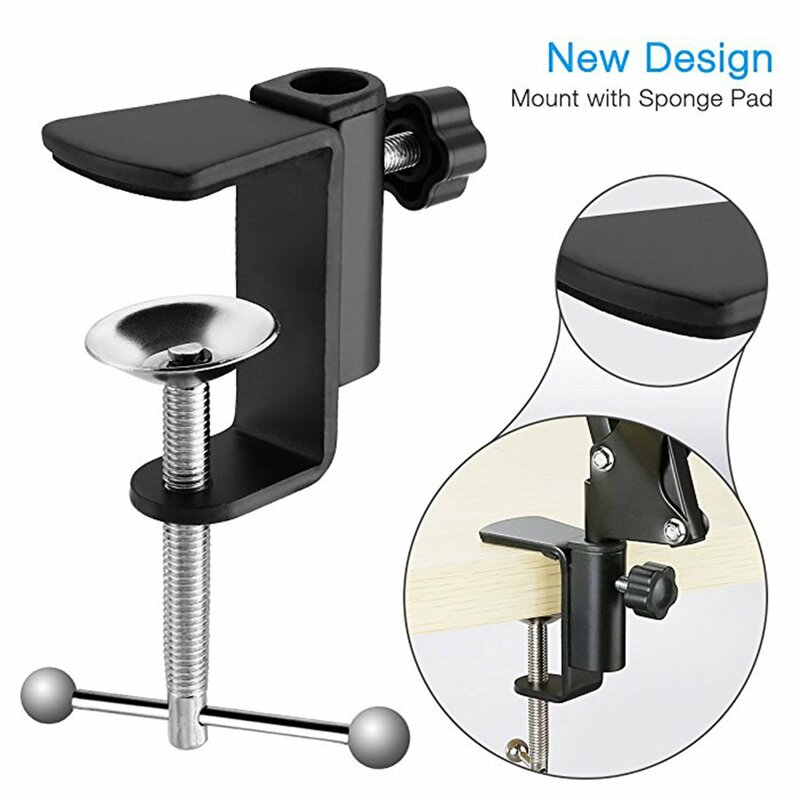 It is the perfect item for your bedroom and camping trips. 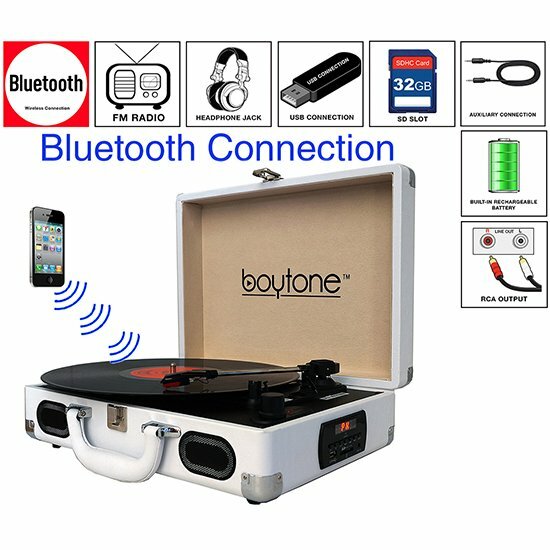 The Boytone portable clock radio comes with a built-in rechargeable battery and the Original USB charger with adapter (110/220 Volt), which is easy to travel with so you can charge it anywhere. The speaker comes with a USB charging cable and adapter that connects to a number of ports. You can recharge this lithium ion battery with a laptop, desktop, battery pack, and even a wall or car charger. 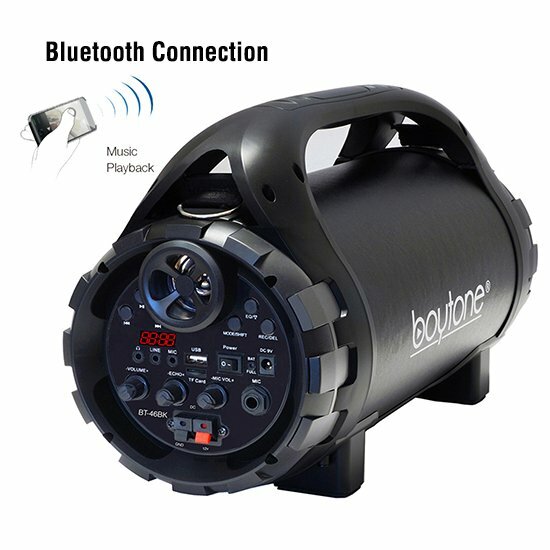 Package Includes: 1 - Portable Bluetooth Speaker and Night Light 1 - USB Cable and Adapter Charger (110/220 Volt) 1 - 3.5mm Audio Cable 1 - Instruction Manual and Free Lifetime Technical Support with Boytone. 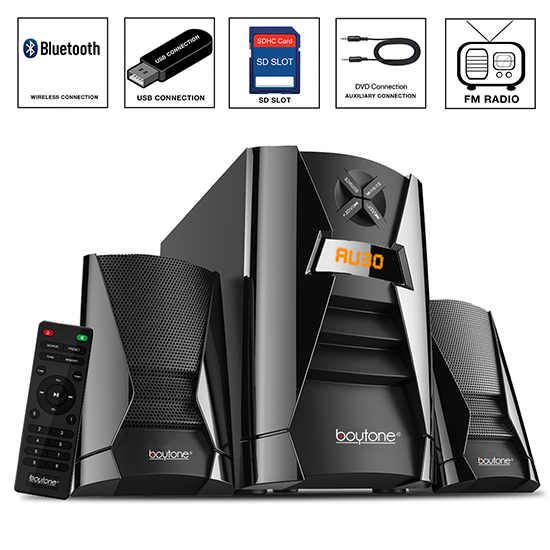 Bluetooth 4.1 with wireless range of 33 feet. Ultra Bass Sound Stereo System. Enjoy clear audio with impressive volume powered by 10W total power. Built–in rechargeable battery. 3-way night light touch lamp used for bedroom and camping. 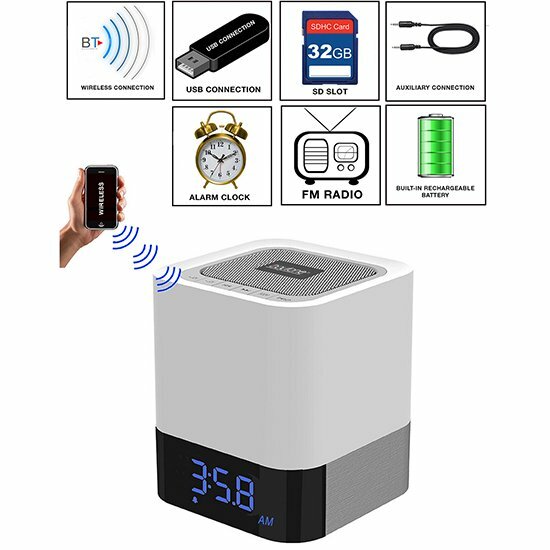 ALL-IN-ONE DESIGN: This heavy duty portable clock radio Bluetooth speaker is so much more than just a speaker. 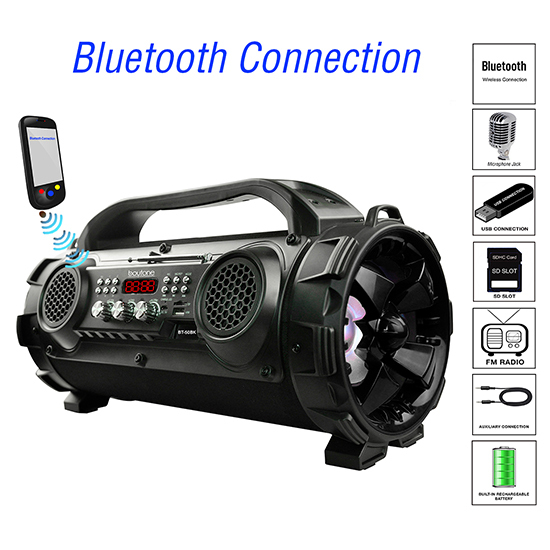 It's a Bluetooth Speaker with enhanced bass, has a built-in microphone for hands-free phone calls, an alarm clock, FM radio and bright LED display. Sound Quality: Hi-Fi comparable speaker engineered with 3D dynamic sound technology, hundred times of tests to find suitable material for diaphragm. Fast Recharge: With 4000mAh built-in Lithium-Polymer battery, you can enjoy 8 hours of non-stop music at 75% volume. 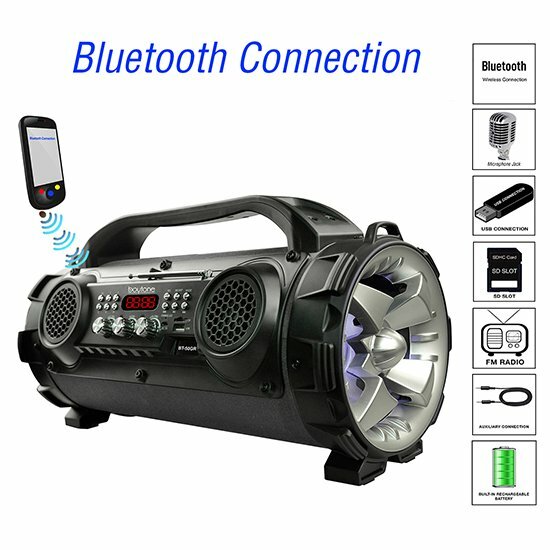 Three times longer than similar-sized portable speakers. Recharge in just 3 hours using the original USB cable with adapter. 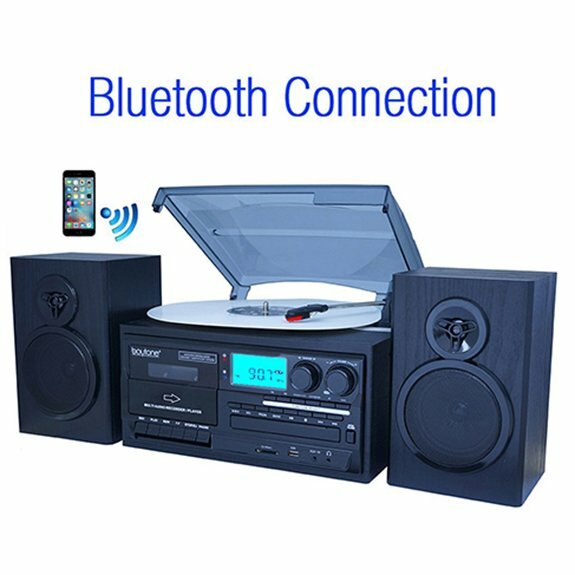 Broad Compatibility: Quick pairing through Bluetooth 4.1 with iPhone, iPod, Blackberry, Samsung and other popular smartphones. One year warranty from Boytone Corp.